Please feel free to scroll down - realkarates jimdo page! Where is Karate going wrong? Karate has become worldwide since coming to Japan around the Second World War by Gichin Funakoshi . His popularity and his art spread thick and fast, it was new and effective. Nowadays times have changed and traditional Karate has suffered in numbers and interests, due to people wanting visually affective and sport orientated arts. People go to gyms, buy nice clothes that makes them feel fit, comfortable and sporty, a lot of martial arts now have this attitude, with silky suits and silky attitudes, silky suits may look nice, but when you train for application and test your art, you may find this nice suit may tear off and fail its purpose. The latest new demand is for people to train in arts that can be used for cage fighting and televised contests. It seems everyone would like to be famous. This may be due to the nation of “I’m a Celebrity” type of people we have become. I have nothing against televised fighting or mixed martial arts and long as it has a structure and the rules are realistic, but doesn’t it become like boxing? With kicks, chokes and ground work. As a traditionalist we must now think about the structure of traditional Japanese karate. Basics are very ordered with military control, this has its benefits but can also make a new karate practitioner bored and feel a lack of progress, they only have to look at there higher ranking sempi and realize they will have to train a long time to be as good. This is correct but it can deter people. The kumite is based on karate v karate, which labels it quite unusable against Joe Bloggs in the street for self-defense. I truly believe traditional karate works but it has to be taught with self-defense in mind, and as a sport it will certainly die. Kata is the way forward it is full of application and strategy. In a lot of clubs kata is taught as just a sequence of moves, if that is the correct way why not just make up our own, and while we are at it put it to music. Kata must be broken right down and simply explored this is and must be the way forward. Since the media seems to control the world we must get it right. The media may bring new people through the dojo door, but us, as traditional martial artists must keep them there by training them right and giving them something that works. You must test your art on every scenario, you have to… because if it doesn’t work it is a waste of your time. KARATE STANCES A LOSS OF TRANSITION ......? Karate has its own collection of stances; set ways to stand and deliver or receive blows to and from an opponent. The two main stances used in all Shotokan karate are Zenkutsu datchi and Co kokutsu dachi.... One front stance ...One back stance. If we look at these in great detail it suggests that the bodyweight seems forward toward the front leg, The other towards the back. Does this suggest a transition of body weight movement from a defensive posture (back stance) to an attacking posture (Zenkutsu dachi )? The transfer between them both in a forward manner can be used to develop heavy full bodied hitting blows to a makiwara or anything else as it happens. Old information on karate seems to come from still pictures or diagrams of still movements. Maybe through early translation of these possibly a lot of understanding movement was lost. The character of this transition of movement seems very similar to "Gichin Funakoshi 's "obsession with the way Japanese pine grass can bend in the wind but still be strong. The militarization of karate over time has helped with its popularity but I feel there may be a miss understanding that has affected its correct progress . The way karate is taught "to the count" can render it very static . May be through this and early written examples the transition of movement through karate has possibly been lost . kicking seems to be common in most Marital Arts. To start we need to understand why, well we must realise that the first reason has to be the human leg’s a lot heavier and stronger and can inflict more damage then our human arm’s. Martial Arts kicking has become more dynamic and can be displayed to an extreme height whilst still being highly affective. 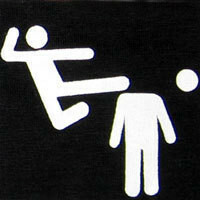 The thought of a person kicking another person in the head can only be described as a blow that can cause devastating affects. Ok lets think about this for a moment, now we must realise that we only have two legs and while one leg is kicking the other leg is on its own striving for balance, this is the problem. 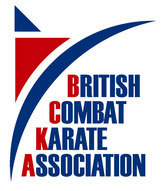 With Martial Arts based for self-defence as most of this is a tricky subject. A good man once said “If it comes to it I will kick a man in the head when I bring his head down to my knee height”, now that’s a very wise thing to say because it’s pliable for self-defence. I saw someone once in a street confrontation do a “How’s your Father” spinning head height kick that caused him to slip on the wet ground and rip the knee’s out of his best trousers, luckily he had some friends for back-up. High kicking is good for the flexibility and maybe in the dojo: only if the ground surface stays the same, but outside it could cause more trouble than it is worth , unless of course the Martial artist has practiced his high kicks outside on a surface of concrete, wet carpet, snow, ice and sand all will added broken glass, oh and did I mention in his best leather soled “going out” shoes. Shall we just keep the legs to stand on outside the dojo…. I don’t know? Yesterday we travelled North, a bit of shopping in the Metro Centre followed by a afternoon of training at Wa Shin Kan dojo in Gateshead. Sensei Douglas had contacted me to say that unfortunately Cook Sensei was unable to attend as planned, but this did not deter us from having the opportunity of training at another JKS dojo. Sensei Douglas instructs in both Karate and Judo. His karate background has always been in Shotokan, but with a mix of associations over the years, he has also shown a keen interest in what over styles have to offer. I am sure this has developed his keen interest in kata application. For the first hour Sensei asked us what we wanted to do. It was a great opportunity for Bex to receive some further tuition on Gankaku. Sensei Douglas is an experienced competitor and an excellent instructor, just what you need when you are trying to "perfect" a kata. At a recent course it was Sensei Douglas that was selected by Kagawa Sensei to demonstrate good technique. We also had the opportunity of running through Gankaku Sho which is a SKI higher level kata developed from an Okinawa form. Above: you do not always find your opponent at normal kumite distance. As more karateka joined the session we went on to work on Kihon and combinations at different distances and onto kata applications. Both Bex and myself had a great afternoon, the early part more main stream karate (that Bex prefers) and the later part with some application and close quarter work (which I enjoy, a bit of a throw back to my Jiu Jitsu background). Many thanks to Sensei Ian Campbell, my training partner for most the later session. Above: You may be working outside your normal karate comfort zone, but that does not stop you enjoying yourself. We left Gateshead to travel back to Yorkshire two happy karate gypsies who had taken another step along "the way", Sensei ne rei, Otagai ni rei, Osu!